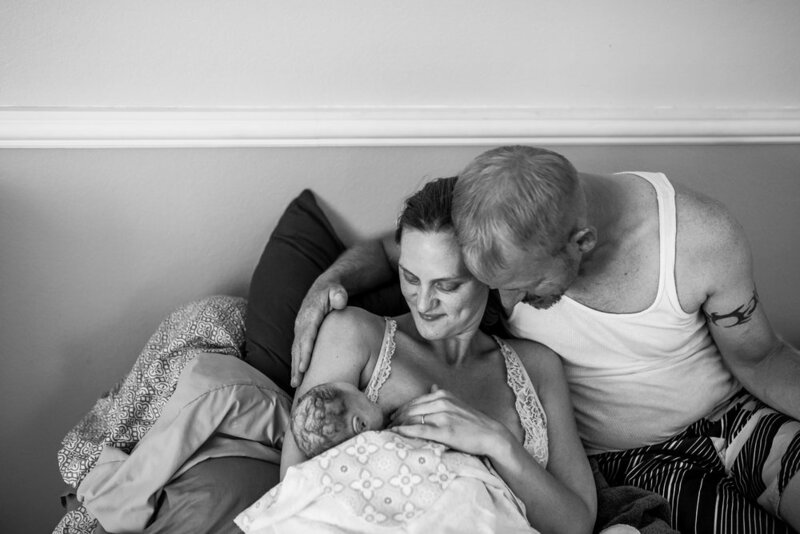 Birth of Olivia - Colorado Springs Birth Photography and Videography — Love is Photography LLC. Little Olivia was born on a hot July day. 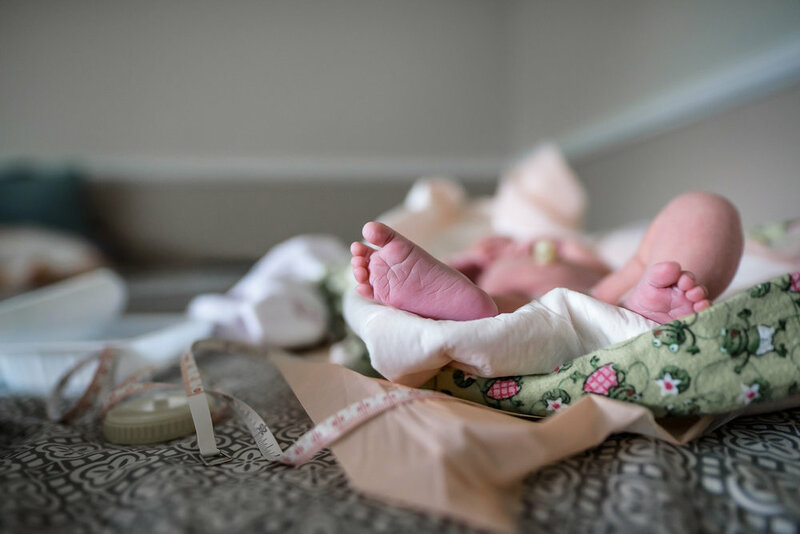 Everything about her birth was beautiful and perfect, from her older siblings awaiting her arrival downstairs to her peaceful entrance to the world. I first met Rebekkah in a mom group about 3 years ago. 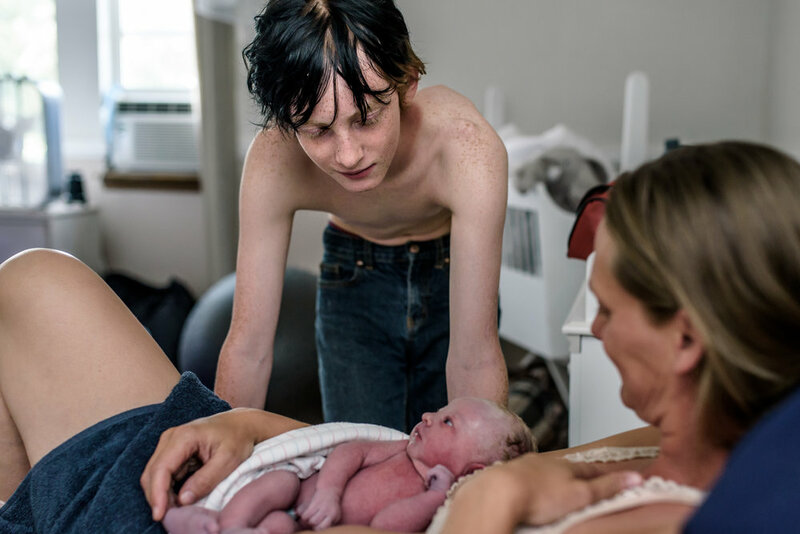 We bonded over birth photography, kids, and the like. Later we met up in Texas for a birth photographer conference which was a blast. I loved her openness and enthusiasm for this work, and I still love that about her. She is an active member of NILMDTS and inspired me to become a member too. She's just one of the most kind people I have ever met, and I love that I get to call her my friend. There's nothing better than being at a birth and especially when that birth is one of your friends. I got to see a whole other side of Rebekkah. I got to see just how strong and powerful she truly is. She dug deep and got to have the birth that she had been dreaming of. I am grateful to her for allowing me to capture all of these beautiful moments and create heirloom pieces that will be cherished for years to come.